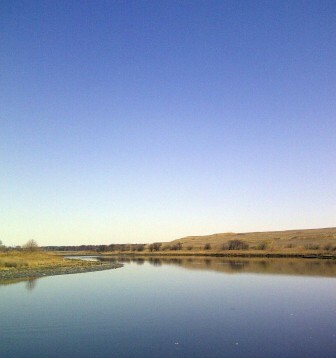 The former Fresh Kills landfill, soon to be Freshkills Park, seen earlier this year. If not for the occasional metal pipe sticking out of the ground—and methane-capture facilities off in the distance—Freshkills Park could almost pass for the natural habitat it used to be. Geese strut around acres of rolling hills and a clear blue sky is interrupted only by power lines. Empty roads stretch for miles, with just the faintest sound of expressway traffic to interrupt the otherwise peaceful experience of spending time in what used to be the biggest landfill in the world. This sidebar is part of a series about the challenge New York City faces in reducing the environmental and economic costs of its municipal waste. Click here to read more. 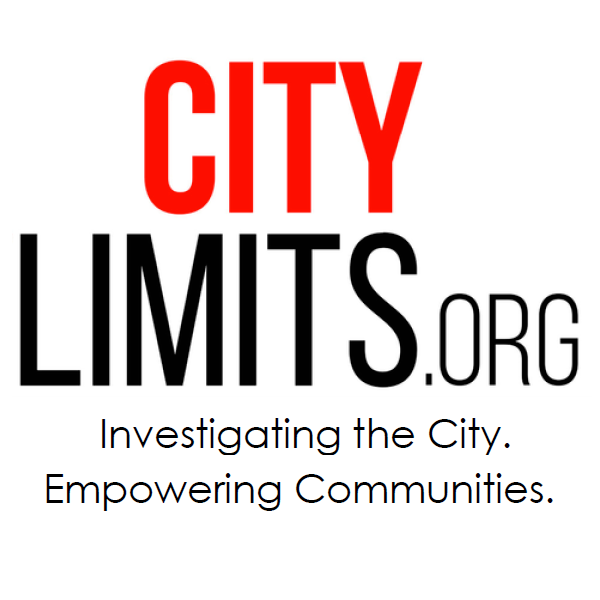 “The only way that we can do it in a city that is totally dependent on waste export is to somehow get control of the spigot—in this case our waste export infrastructure—and slowly turn it off,” says Eddie Bautista, executive director of the New York City Environmental Justice Alliance. Bautista believes that the goal may take decades to reach, but it’s not impossible. “Now that he’s put the numbers out there, it’s on us to force the question,” he says. Putting systems in place to handle the shift in New York’s waste stream will require serious government intervention, behavioral change and re-evaluation of what we consider to be garbage. According to the city’s OneNYC report, the average New Yorker generates 15 pounds of waste at home and nine pounds at work or elsewhere on a weekly basis. Recycling as much of this as possible will be crucial, but the most important step will be reducing the amount of waste generated in the first place. One solution in the city’s report is to establish a “save-as-you-throw” program that puts a direct price on the waste people produce. “The key is that there is some price incentive to put out less garbage,” says Tammy Gamerman, a senior research associate with the Citizen’s Budget Commission. She recently wrote a report on how such a program might work. Potential details vary, but essentially residents would be charged for their waste similar to a utility like gas or water. Non-recyclable waste would cost people money to set out. Recyclable waste would be cheaper, if not free. According to the report, New York is one of the only major cities in the country to pay for garbage collection entirely out of its general fund and similar programs have actually saved residents money elsewhere. “The whole purpose of that is not to actually increase people’s taxes, which is the first myth. So if it’s designed well you’re giving people a way to save money,” says Gamerman. Council Member Antonio Reynoso is an ongoing supporter of the plan and says it will play a big part in reaching the mayor’s waste reduction goals. Monetary incentives have been successful in other cities, but New Yorkers must also reevaluate the items they buy in the first place. Jacquie Ottman, a sustainability consultant who runs WeHatetoWaste.com, says that people have gotten used to having too much stuff. In addition to basic recycling practices, she recommends sharing items among neighbors as much as possible. For example, the average person uses their vacuum at most once per week and then puts it back in a closet. Ottman says that in apartment buildings each floor could share appliances by establishing storage space in building trash rooms. Even in a scenario where New Yorkers reuse more items and waste can be reduced by 90 percent, there will always be some non-recyclable materials left. The city’s plan makes no reference to ceasing use of waste-to-energy facilities—such as the Covanta plants—a technology that concerns some environmental advocates. Eric Goldstein, senior attorney at the National Resource Defense Council, says he doesn’t support the technology—though he didn’t interpret the OneNYC plan to mean a switch to incineration. Despite highly contentious efforts to open new incinerators within the city—most notably the Brooklyn Navy Yard in the early ‘90s and a failed 2013 plan by Mayor Bloomberg which suggested putting one in Freshkills Park—the technology is still commonly used nearby. The closest incinerator that receives New York’s garbage is across the Hudson River in Newark, where local residents have been fighting it for years. They recently settled a lawsuit requiring Covanta to install a more advanced filter on the plant, but hope to ultimately eliminate the need for it altogether. Ted Michaels, president of a waste-to-energy trade organization called the Energy Recovery Council, says that if people want to stop using landfills then another solution is needed. Even if non-recyclable refuse was drastically reduced, sorting facilities still end up with materials that can’t be recycled and will need to go somewhere. Michaels says that modern waste-to-energy facilities are unfairly scorned because they are associated with toxic incinerators of decades past. He says the industry has shifted over time to comply with the Clean Air Act Amendments of 1990, which imposed much tighter pollution controls. According to the EPA, total emissions of hazardous air pollutants have dropped more than 94 percent since then from nearly 58,000 tons in 1990 to 3,300 tons in 2005. One of the most commonly feared pollutants are dioxins, a group of chemical compounds that are produced by the combustion of chlorinated waste, which have been reduced by more than 90 percent since 1987 to very low levels. Environmental advocates say these levels still aren’t low enough and continually fight to get more advanced standards in place. The Department of Sanitation (DSNY) signed a 20-year contract with Covanta to process waste from the North Shore and East 91st Street marine transfer stations, so regardless of the health debate the city will be supporting this technology for the foreseeable future. Waste will primarily be going to the Covanta facilities in upstate New York and Chester, Pennsylvania. 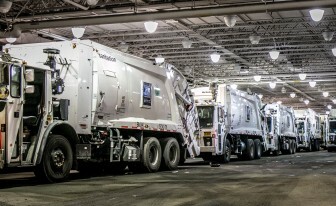 The Covanta facility in Newark, which currently accepts waste from Manhattan via truck, requires the city to supply at least 10,000 tons of waste per week. Another question is what happens to the leftover ash after combustion. This process reduces waste by an average of 75 percent, leaving behind residue which is currently being used to cover landfills or buried in a separate landfill itself. Pasco County, Florida recently started using the material to build new roads and other uses are being explored. What this means for the city’s plans to send zero waste to landfills by 2030 is unclear. DSNY did not respond to requests for clarification. A new way to deal with waste? With construction of the Solid Waste Management Plan’s transfer stations still ongoing, and processing capacity for organics and other material a looming issue, the city may have a hard time reaching the goals in OneNYC. If the marine transfer stations are finally completed, only to be obsolete in 2030 when refuse generation will potentially be reduced by significant levels, the city will have to start all over with a new plan and new facilities. Norman Steisel, former DSNY commissioner and deputy mayor, says long-term planning is sorely needed. Echoing a classic statement from years past, Steisel cautions against inaction. As advocates, legislators and city officials hash out the details, some people in the waste management field are already looking into the future. Benjamin Miller and his partners at the infrastructure planning firm Closed Loops have been researching the possibility of pneumatic tubes for trash collection. Roosevelt Island was built with a similar system for trash collection due to its narrow streets and there is a possibility that Hudson Yards could be too. Miller believes this could even change the way our city streets look. Kendall Christiansen, a consultant from Gaia Strategies and former chair of the Citywide Recycling Advisory Board, has long advocated for the increased use of in-sink food disposals similar to programs other cities. A very large portion of food waste is water, which adds to the weight carried by collection trucks, and could potentially go back into the wastewater treatment system instead. Christiansen says the city’s sewage system has enough capacity to handle more organic material. Accurate figures on the amount of apartments with in-sink disposals, and how much material is already being diverted through them, are hard to calculate. Many newly constructed buildings now include in-sink disposals and NYCHA offers them to tenants during kitchen renovations. Christiansen also points to a company called Agilyx, which has developed a technology to convert plastics back into crude oil, as a promising solution to un-recyclable waste. “That has the potential for being a salvation to all the plastics that are in the waste stream that are not easily marketable now,” he says. Another promising technology is what’s being called “mixed waste material recovery facilities.” These facilities can sort commingled trash—metal, glass, plastic, paper, organics and other refuse—into marketable streams. Anaerobic digesters are often attached to these facilities to process organics directly. While contamination increases slightly, the capture rates goes up significantly. According to a January article in the magazine “Resource Recycling” there are more than 50 of these facilities already operating in the United States, with the majority in California. 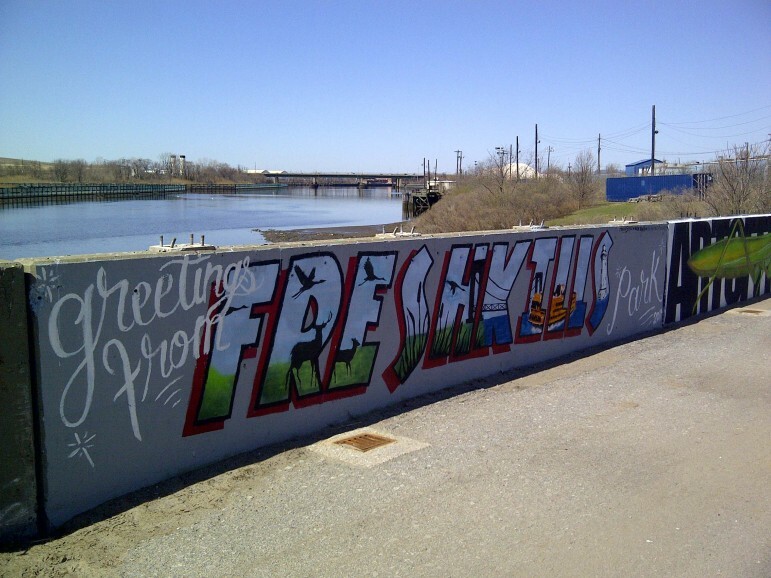 Fresh Kills will open to the public at some point as a park. But waste buried deep in the round will continue decomposing for decades. Whatever the method, it’s clear that our garbage has much more potential than society has long given it credit for. Now that Mayor de Blasio has set these goals it’s time to keep the conversation fresh. For Staten Islanders, this shift toward a greener future will eventually mean a 2,200-acre park—almost three times the size of Central Park—on top of the former Fresh Kills landfill by 2036. Small areas of the park are open to the public now, but DSNY is still working to close certain portions of the site, and additional funding is needed to complete the full transformation that has been envisioned. According to a chart in the temporary trailer that currently serves as the park’s visitor center, New York’s waste will live on underneath the ground long after everyone reading this story has permanently ceased contributing to the waste stream. It’s unknown how long it would take for a glass or plastic bottle to decompose when exposed to air, something in short supply within a dense landfill. The time estimated for a plastic cup to decompose is 250 years. Any plan that will be obsolete in 15 years is a waste of taxpayers $$$ particularly when it is costing 3x more that was budgeted for it (East 91 Street MTS) and will cost at least 5x more than current waste disposal, being built in the worst flood zone in New York, with the highest asthma rate in all of New York now seems wrong! Congrats on the “save-as-you-throw” part of the OneNYC plan! That’s got to be the best aspect. Research has shown that these “pay per bag” programs cause a pretty immediate 44% drop in waste generation per person, once implemented. We pay for how much water, gas and electricity we use. It’s about time that we do the same for trash, instead of paying one fee to be as wasteful as we want. * Eddie’s right that it’ll take decades to “slowly turn off the spigot” of waste exports. It’ll take at least two decades just to START because the 20-30 year contract for Covanta to take 800,000 tons/year of NYC waste to burn in Chester, PA and Niagara Falls, NY requires that much waste generation, or the city has to pay for the incineration services, even if the waste isn’t generated. This guarantees the continued unjust burning of waste in one of the most polluted communities of color in the nation, with one of the filthiest plants in the industry. This contract was set up as a result of the service contract to take waste from two Marine Transfer Stations, including the controversial E. 91st St one. No one in NYC opposed letting the waste go to the worst destination possible. * The plan to dump food waste down the drain to be mixed with sewage sludge is a problem. Food waste should be composted, as it’s fairly clean. Mixing it with toxic sewage sludge just makes it all a toxic mess that ought not to be going on farms and gardens (even though it still often does). * Agilyx is one of several start-up companies with incinerator-like technologies that tend not to work, and tend to be financially miserable. The world’s largest waste corporation, Waste Management, Inc., was invested in them and other experimental incinerator and waste-to-fuel companies, but sold off all of these investments last year. The Wall Street Journal pointed this out in an article on Jan 3, 2014, titled “Big Waste Hauler Rethinks Startups.” They abandoned their gasification, pyrolysis, plasma and trash-to-ethanol investments, selling off Agilyx, Enerkem, Fulcrum, Genomatica & InEnTec. Later in the year, they also sold off their conventional incinerator division, Wheelabrator, the 2nd largest incinerator corporation in the nation. If Agilyx was such a great idea, why is WMI pulling out of them? Fact is, these are incinerator-like technologies that typically meet organized community opposition because of the pollution issues associated with them. One great part of the OneNYC plan (despite its various problems) is where it admits that the city’s exploration of “pilot conversion technologies” (code words for gasification and related tech, like Agilyx) were canceled with this explanation: “Proposals were received to develop a conversion technology facility to dispose of waste. The RFP was cancelled in 2014 because none of the proposals were cost-effective, there were also siting concerns raised by elected officials and residents.” (p292). A big thanks to Eddie and others who helped make this politically unacceptable! * Finally… “mixed waste material recovery facilities” (where trash, recycling and composting are all thrown in one bin to be sorted out by machines) are a disaster. They can’t be made “into marketable streams” because the paper becomes unmarketable, and much of the mess can’t be readily separated. It just ends up being suitable for burning or burying… not reuse, recycling and composting. This is not “promising.” It’s been a mess in Indianapolis, IN recently, where it’s been a cover for incineration at a Covanta incinerator. Their recycling rate turned out to be just 10 percent. It’s also been highly controversial in Houston, TX, where former NYC Mayor Bloomberg funded a project to try to do this “one bin for all” program, that environmentalists are fighting. It’s turned out to be a front for incinerating the waste with sketchy and prohibitively expensive gasification proposals that aren’t working out. See http://zerowastehouston.org for more on that. The ‘pay per bag’ scheme would be another burden on NYC residents, particularly homeowners. I recycle more than most but my life can’t revolve around this nonsense. So now I’d have to buy certain bag from a certain company at what surely will be an inflated price. Sanitation comes out of our taxes, this would be double taxation. Same for the ‘composting’ plan which will only stink up our neighborhoods, particularly in the summer. It’s not double taxation. You already pay to get the service through your taxes, as you point out. This would just shift it from “pay one fee to be as wasteful as you like” to “pay for how much waste you generate” — just like people currently pay for how much water, electricity and gas they use. It’s just a switch in how it’s paid for, so that people have the same incentives to conserve as they do when they’re paying for other utilities. See wastezero.com for info on how it’s worked for other communities. New York City has a history of lackluster to lousy waste management planning. I hope this history will not create insurmountable obstacles to achieving OneNYC’s much needed and long overdue 2030 zero waste goal. As the OneNYC plan was unveiled last week, the City continued to move forward with construction of huge, costly, single-purpose waste processing facilities. Great flexibility, not giant, fixed-use waste monoliths, will be needed as NYC develops specific plans to dramatically transform and reduce waste. NYC has also signed a 20-year contract with the private waste company, Covanta, to transport and incinerate NYC waste (in distant, disadvantaged communities). When asked if he was concerned about Covanta earnings given NYC’s 2030 zero waste goals, Covanta’s CEO said the contract with NYC includes ample fixed fees to cover all costs and provide a return regardless of the amount of waste NYC provides. It will be hard enough for NYC to shake off the past and develop the bold strategies needed to meet OneNYC goals. Multi-billion dollar investments in outdated facilities – and the constraints of cushy long term contracts for disposal – will make it much more challenging for the City to commit the energy and funding needed to achieve the 2030 zero waste goal.